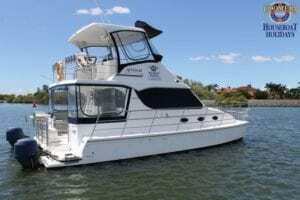 Coomera House Boats > Blog & Latest News > News > CHECK OUT OUR GREAT ‘CRUISER RANGE’ OF HOUSEBOATS WITH FULL WALK-AROUND DECKS. OUR GREAT ‘CRUISER RANGE’ OF HOUSEBOATS WITH FULL WALK-AROUND DECKS. Not every one wants to take out the big 60′ spa boats for the weekend. 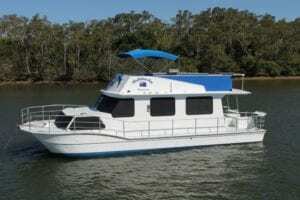 If you are looking for a smaller ‘Cruiser Style’ houseboat we have got a great range for you. Choose from 7 berth, The Colleen Ann & Aristocat or the 8 berth Seaview. 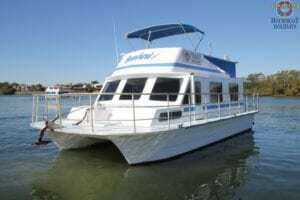 Click on the boat’s picture for price and information. See more details on our these and our other boats by clicking here or call us on 07 5502 6200.